There were migrations of the faithful of Syro-Malabar Church from India (especially Kerala) from the late 1960s onwards. They organized themselves into small communities gathering occasionally to cherish their spiritual and cultural life under the leadership of Syro-Malabar Priests working or studying in the US. Gradually this led to concerted efforts from 1996 to have a diocese for the Syro-Malabar faithful residing in the US. His Holiness Pope John Paul II?established St. Thomas Syro-Malabar Catholic Diocese of Chicago on March 13, 2001. 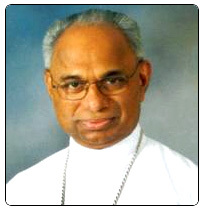 Mar Jacob Angadiath is appointed as its first bishop and his Episcopal Ordination was held in Chicago, together with the inauguration of the diocese, on July 1, 2001. 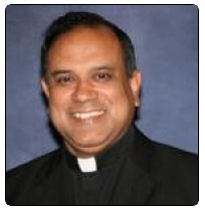 Fr Joy Alapatt was appointed Auxiliary Bishop of Chicago on 24 July 2014 and was consecrated on 27 September 2014.